#BNB001 - The Hobbit, 1987 Super Deluxe Signed Limited Edition, #13 of 100 Signed Copies - 2650 GBP A wonderful copy of an extremely collectable book. In unread condition, a must for the serious collector. 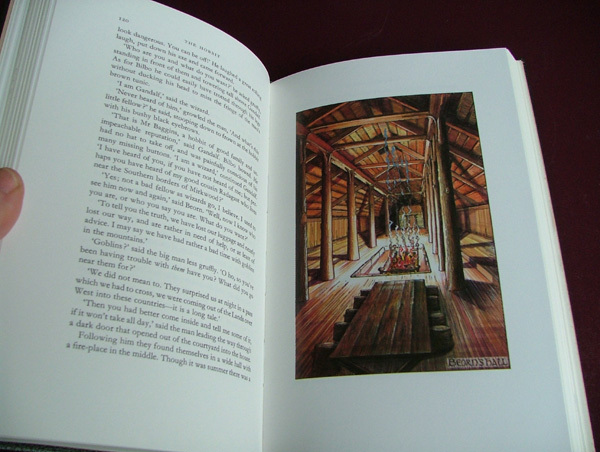 A wonderful copy of an extremely collectable book. In unread condition, a must for the serious collector. 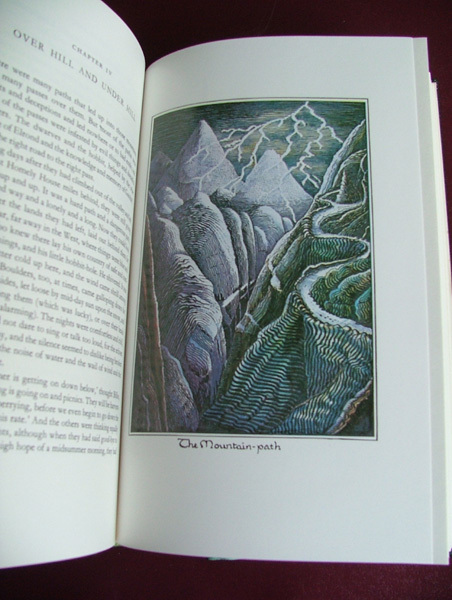 Published by Unwin Hyman in 1987, this Limited Numbered Signed Edition was published to celebrate the 50th Anniversary of the original publication of The Hobbit. 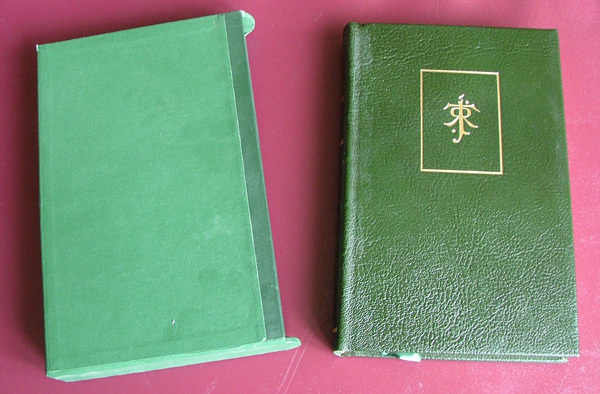 Bound in dark green leather, and housed in the original publishers slipcase, as issued. 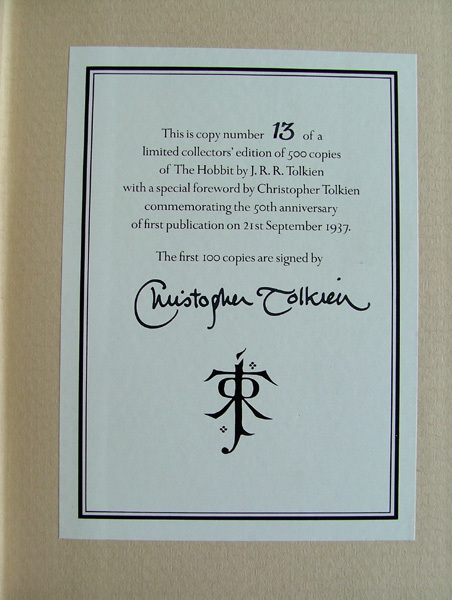 This copy is numbered #13 of 500, and is signed on the Limitation Notice by the Editor, Christopher Tolkien. Only the 1st 100 copies are signed. 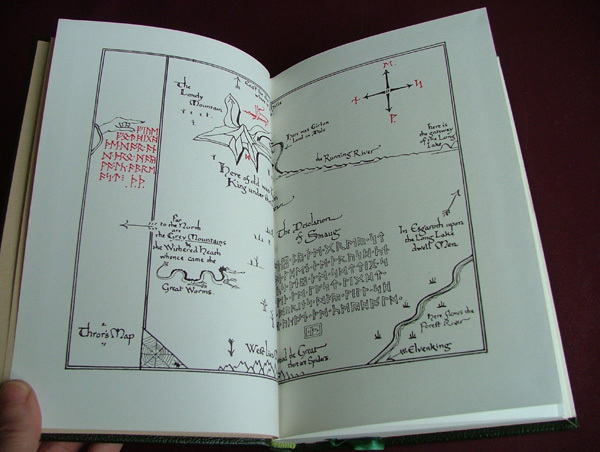 Number 1 went to Christopher Tolkien and the rest are prized by collectors and rarely found for sale. This copy has no faults. Lacks the original mailing case. No foxing, no marks, still crackles when opened. In unread condition, a must for the serious collector.